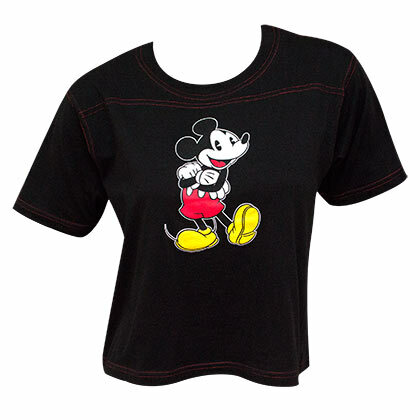 Officially licensed women's Mickey Mouse cropped tee shirt. Comes in black and features contrast stitching and classic “Mickey Mouse" Image on the front. Made from 100% cotton.